Nearly 200 Jewish passengers were singled out and removed from an EasyJet flight from Barcelona, Spain, to Paris, France, last week. The travelers, who were mostly returning home from Passover vacation spent in Spain, were escorted off the flight by Spanish armed police officers. 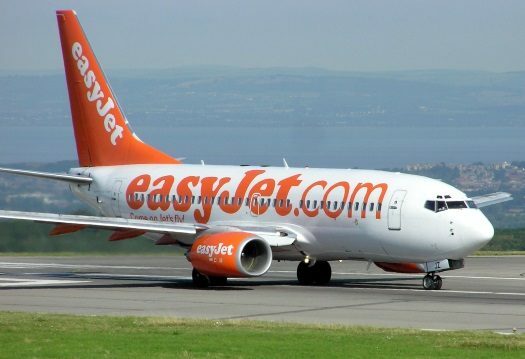 Several Jewish families say they were treated unfairly by EasyJet because of their religion during the Passover holiday. Dozens of Jewish families from Paris who were traveling in Barcelona say that they were removed by Spanish armed police officers from their flight on the way home to the French capital after Passover, with one passenger – a Holocaust survivor – saying that the police’s treatment of them was similar to the behavior of Nazi Germany’s SS during World War II. Almost 200 Jewish passengers, including elderly men, pregnant women and babies were in Spain for Passover and were scheduled to fly back May 1 on easyJet Flight 3920 to Paris. The plane returned to the terminal. EasyJet has denied claims that it used armed police to segregate and remove passengers from a flight because they were Jewish. One of the more disruptive passengers was reportedly arrested by police. In a statement, a spokesman for the British company said: “Whilst such incidents are rare we take them very seriously and do not tolerate abusive or threatening behaviour on board. “Due to this issue a replacement crew was needed to operate the flight and as a result, the departure of the flight was delayed. “Passengers were held in a gate area at the request of the police for a short period of time to assess those responsible for the incident. The police took a number of passengers for questioning. The incident is still under investigation with the Spanish Police. 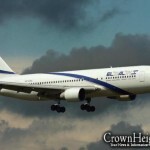 What alleged incident led to the removal of the Jewish passengers? European jews need to leave europe!!! Go to USA, CANADA australia israel but get out of Farshtinkene Europe. The french the english, the spaniards hate us and see us as interlopers. Why sow pachad into yidden, this was never he Rebbe;s derech? Spain was never in any cherem. And if there had been one, who could have lifted it? The whole thing is a bobbe mayseh from beginning to end. Which country’s laws govern the behavior of airlines? The country where the airline is based (UK)? Or the country where the airline is doing business at any given time (Spain, in this case)? ALSO: It is not so clear whether the detained Jewish passengers were eventually put back on the flight before it eventually did go to Paris. ALSO: Did the “disruptive” incident happen first, or did the detaining happen first and then there was a “disruptive” incident? It’s not even completely clear whether or not the “disruptive” passenger was one of the Jewish passengers! Was this a case of one Jew being “disruptive,” leading to the airline to decide to detain all Jewish passengers (even “elderly men, pregnant women, and babies”) as potential risks? Or was it a case where an already-detained passenger became disruptive, due to being detained? AND: Exactly what did the one “disruptive” passenger do that caused the airline to charge the passenger and have him/her arrested by Spanish police? CROWNHEIGHTS.INFO: Please get some answers and update this article. Thank you. Don’t go on easy jet. Spain to this day remains the most Jew-hating country in the whole of Europe even worse than Sweden and Norway. 70% of Spanish students stated they did not want to sit next to a Jew, thst’a even after they have never even met Jewish person. Spain has decided to re-issue Jews who can prove their roots to Spain from when they were all forced out in 1492 with Spanish citizenship once again, well as far as I am concerned they can stick their Spanish citizenship as far up their Spanish backsides as far as they can get it. No Jews should ever visit that cursed land ever again. I regularly use the Easyjet Manchester Tel Aviv and I know it is hard to believe but sometimes Jewish passengers misbehave. Don’t stereotype – it’s not just Charedim or French Jews but on one flight, an obviously secular lone mother delayed the flight by an hour because SHE didn’t see why SHE had to strap her baby to herself during takeoff with the special strap – basic safety laws for protection. If you spend hours on a metal tube 35,000 feet up in the air, then BEHAVE yourselves – don’t argue with the staff, sit down immediately, strap yourself in and keep shtum till you reach cruising altitude. Hillel said “don’t do to others what you find distasteful to you” is the basis of Judaism. Nobody is more important than anyone else – behave yourselves – the Easyjet staff are mostly very nice and helpful.